It’s a situation many parents run into. You have a kid, they outgrow their toys, clothes, their bed, and more. Then you have another kid, or you’re planning on having another kid, but they can’t fit into the old stuff yet. You don’t want to have to buy brand new stuff, but it’s also irritating having all of that stuff laying around the house. Luckily, there’s a solution. Getting some extra storage space by renting a storage unit at Affordable Family Storage could be just what you need. Today in the Affordable Family Storage blog we’ll talk about storing your hand me downs in your storage space. Parents who haven’t had another kid yet but plan to will want to keep all of their baby stuff. Cribs, bassinets, baby toys, baby clothes, car seats, strollers, baby bathtubs, and more, can all be used again. These things cost money, and it would be silly to have to buy them all over again. Unfortunately, they also take up a great deal of space. With a storage space at Affordable Family Storage, you won’t have to worry about this. Box up all the toys and clothes, seal them up to keep out dust, and label them appropriately. For bigger items like cribs and strollers, you can put a cover over them to keep them clean and ready to use. Then you can keep them in your storage space as long as you need to until they’re ready to use. Toddlers and kids outgrow their clothes and toys at an amazing rate. You could just get rid of these things, but if you have a growing baby, they can use these things in the near future. Just like you did with your baby hand-me-downs, these can be stored in tightly packed boxes to keep them clean and dust-free until they’re ready. Once you don’t plan on having any more kids, you can always donate these things or give them to a relative. Teenagers go through so many phases that it’s hard to keep track of them. The point is, they’re bound to get tired of their clothes and things. When this happens, just put the clothing in your storage space. 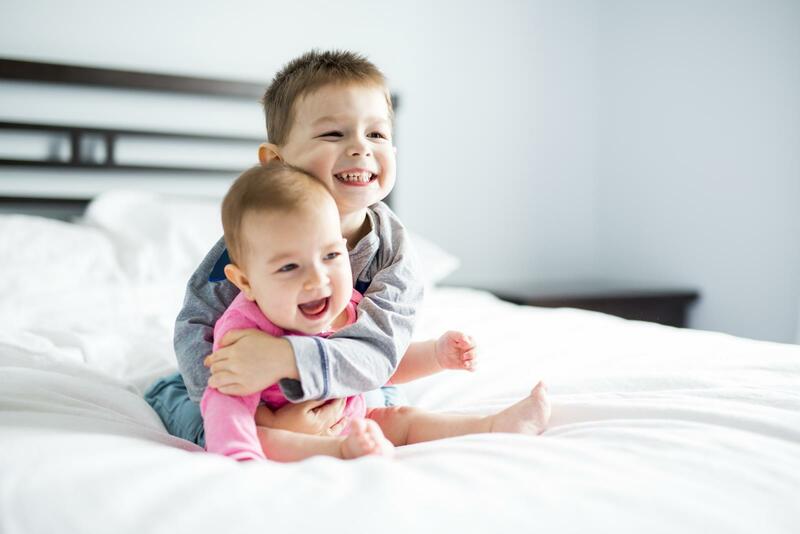 When your other kids grow up, they may want to look through their older brother or sister’s things to see if they had anything they would want. If not, you can always donate them to those in need! If you’re in need of storage space for your hand-me-downs, choose Affordable Family Storage. We have a variety of storage spaces available, and one of our sizes are sure to be perfectly suited to your needs. Just use your storage calculator to find out what you need. Contact us today for more information and to reserve your unit today!